Owning a regular pet like a dog or a cat or even a hamster just doesn’t cut it for some people. For those who enjoy unusual company, it’s all about finding the right odd pet to take care of. The selection of exotic animals that can be kept at your home ranges from Scorpions and Tarantulas to Pythons and Dragon Lizards. Some love keeping furry Chinchillas and spiky Hedgehogs while others enjoy feisty Piranhas and colorful Macaws. 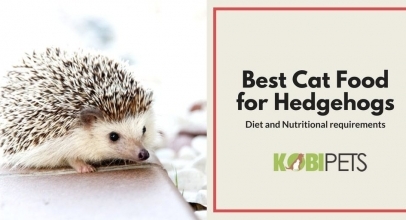 However, what all exotic pets have in common is that they need special care and specific diets in order to stay healthy and happy. We gathered a lot of information in the past few years of being avid pet owners and we’ll be more than happy to share it with you. Stick around if your curious about what it takes to share your home with one of these amazing animals and we’ll try our best to show you that even the unordinary can be loving and caring members of the family.